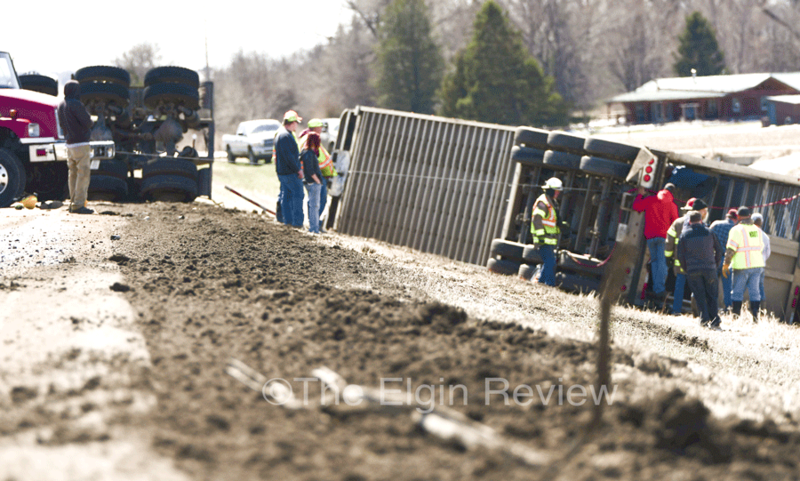 A southbound semi truck hauling cattle took a spill north of Elgin Sunday afternoon. 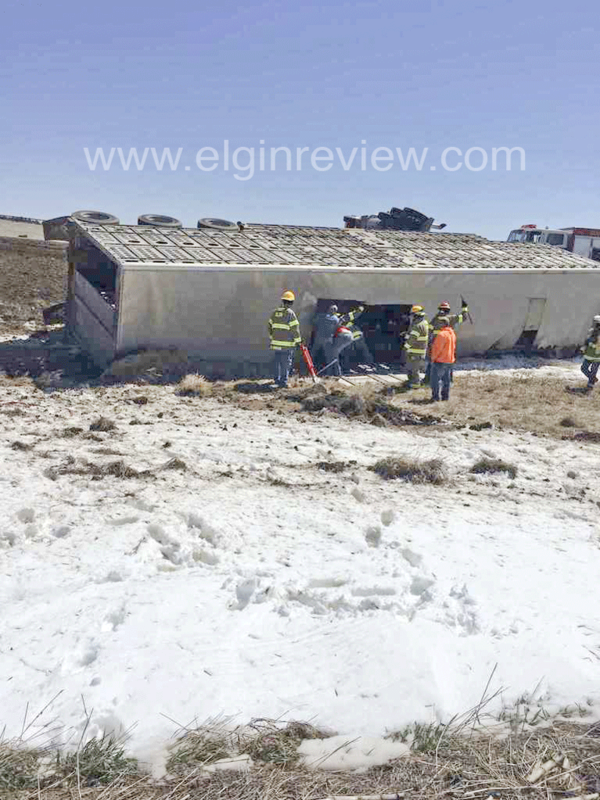 Shortly after 1 p.m., Elgin Fire and Rescue were called to the accident scene, approximately 4 miles north of Elgin on Highway 14, in the curve north of the Ken Bode farm. According to personnel on the scene, the driver of the semi walked away from the accident. 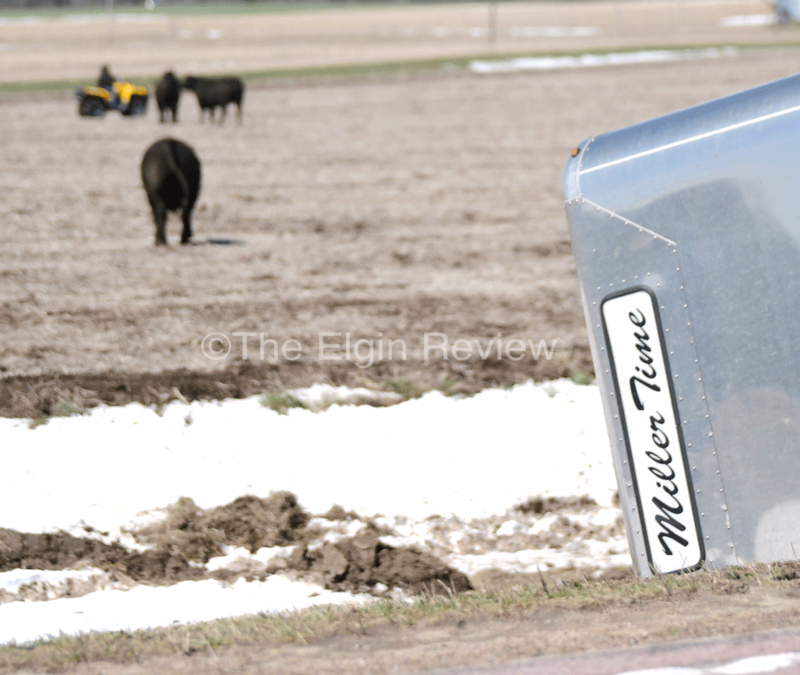 The semi, part of the “Miller Time” line, was hauling 38 head of fat cattle when it dropped off the highway shoulder. Due to recent moisture, the extremely soft shoulder eventually pulled the truck and trailer onto their sides. Deep groves in the pavement show that the momentum caused the truck to skid a number of feet on the highway before coming to a rest. Traffic in both lanes was blocked and had to be re-routed for a couple of hours. 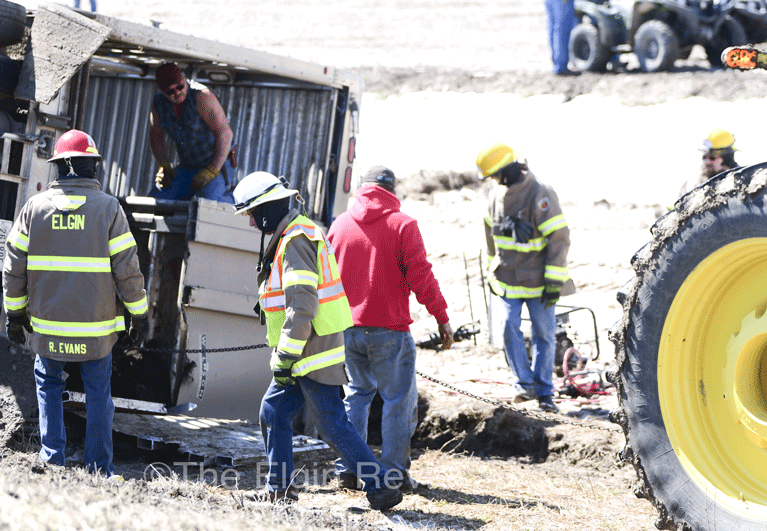 According to Neligh Police Deputy Darin Ternus who was assisting at the scene, once word was out on the nature of the accident, a number of volunteers arrived, some with 4 wheelers, to help with the livestock. One load was taken to nearby Oak Creek Ranch, another trailer truck arrived to pick up the remaining cattle that could be hauled. 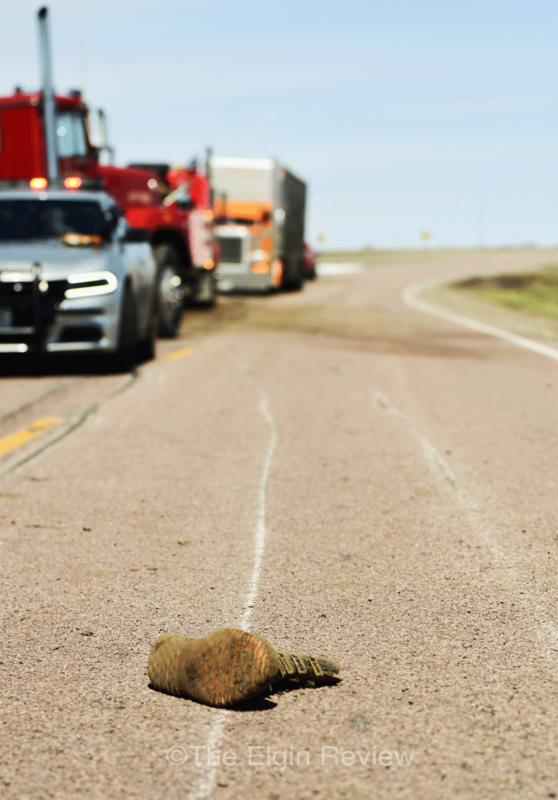 It was estimated that about 12 head either died in the accident or would have to be put down due to injuries. Read this updated story in this week’s issue of the Elgin Review.